Hoping to crackdown on the rise of heroin and opioid abuse, the DEA has launched a first-of-its-kind program to target drug-related crime. The Tribune-Review reports that the pilot program will be established in the Pittsburgh and focus on finding long-term solutions. That will involve working with health care and social services agencies. 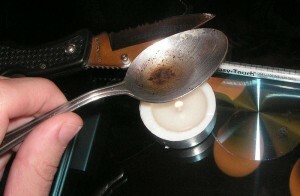 Local authorities have been shocked by the proliferation of heroin and drug overdoses recently. “Heroin and pill overdoses are through the roof, and it’s making us in law enforcement look at some different approaches,” DEA spokesman Patrick Trainor said. In Pennsylvania, heroin or opioid deaths have increased from 47 in 2009 to more than 800 in 2013. It’s not year clear how the pilot program will work and what impact it will have on existing prevention and enforcement efforts. Posted: 11/9/15 at 9:22 PM under News Story.